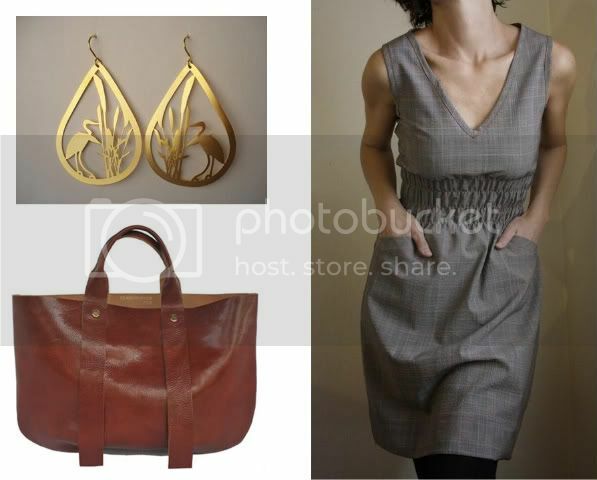 Fern and Feather: lady gifts. I know that giving is truly the most wonderful part of Christmas but this list might prove that recieving is pretty good too. enjoy. I love these return address labels, there are several lovely designs to pick from. 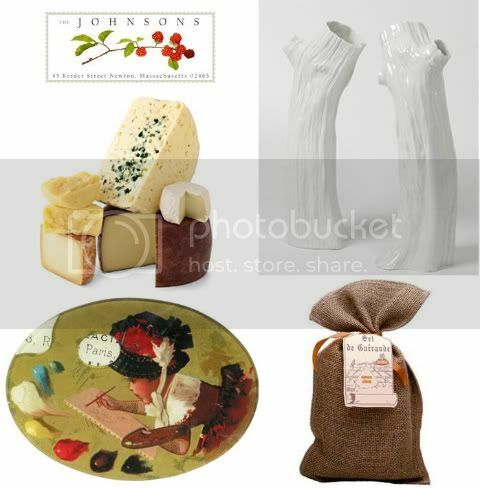 ~ Cheese of the month club, the perfect gift for your fromage lover. ~ Modern, beautiful bud vases by Rose & Radish. ~ I have always admired these beautiful John Derian decoupage plates, all different shapes, sizes & designs. ~ Grey sea salt, the perfect addition to a food lover's kitchen. Love love love these handmade herron earrings. ~ The Fiji dress, this dress is handmade and made to order, it comes in several fabrics, so classic & versatile. ~ I have lost sleep over this Clare Vivier bag, isn't it amazing?! For her creative side. I have always wanted a vintage typewriter, think of the possibilities. You could type recipe cards, tags, love letters, invitations, aahhh a girl can dream. ~ 'I Know How to Cook' a fab new recipe book. ~ 500 colored pencils, give the gift that keeps on giving, perfect for the color lover. You get 25 pencils each month for 20 months. Boots, boots & more boots. I don't think you can have too many boots, these three are perfection. The Marc Jacob ankle boot, how great is the side ruffle? So cute. ~ The Hunter rain boot, if you didn't jump on the bandwagon last year then it isn't too late, they are still fab. ~ Everything by Cynthia Vincent is gorgeous and the Dylan boots are no exception. I am loving the grey boot. Budget proof jewelry. I love this Spool no. 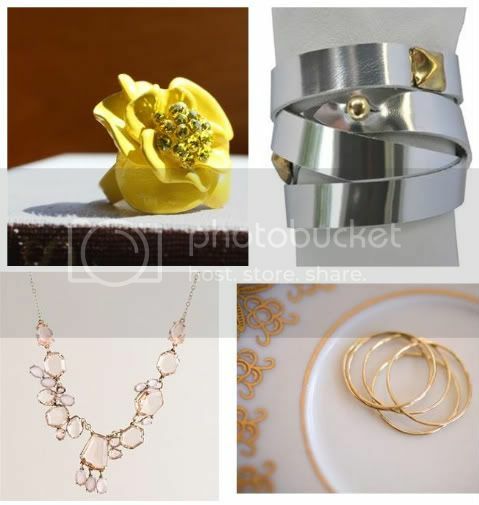 72 yellow flower ring. ~ Clara Virier doesn't just make fabulous bags she makes leather bracelets too. ~ I love this necklace by J Crew the perfect piece for a magical New Years Eve. ~ These stacking rings are so simple & elegant, lovely. Check tomorrow for gifts your guy will love.